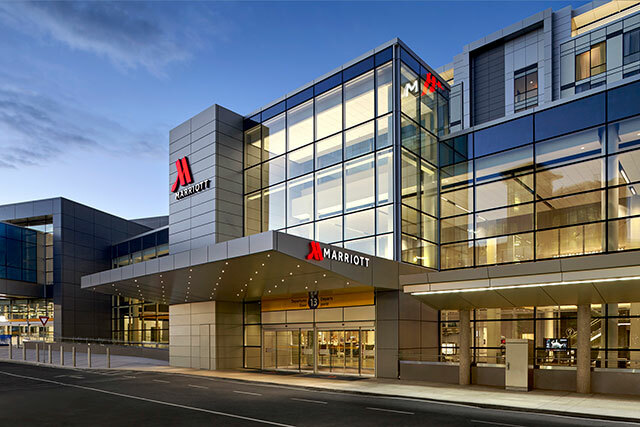 When Calgary’s new international terminal opened late last year, the new Marriott In-Terminal Hotel also opened. 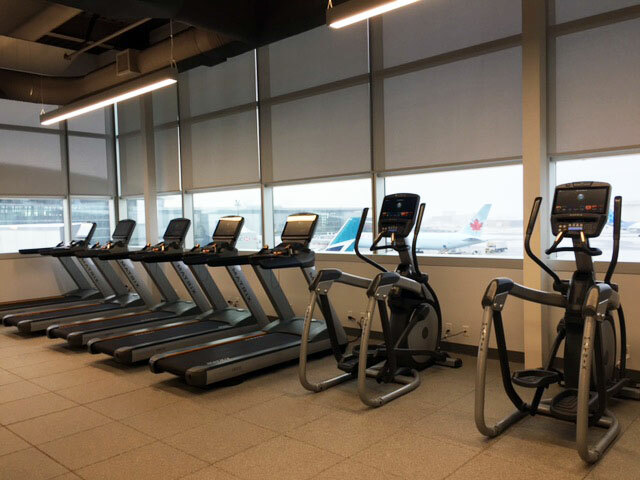 Located between the international and domestic terminals, the hotel boasts 318 guest rooms, Fitness Centre, a swimming pool and Yakima, the hotel restaurant and bar. The fact that it’s located right in the airport is so convenient, especially for those early morning flights. Last month, when we headed to Cuba, our friends spent the night since our flight was at 6am. Needless to say, we totally wished we had done the same, as we were heading out the door at 3am. My family and I were invited to spend the night and check out the hotel for ourselves. We jumped at the chance to have a mini staycation, especially since I had checked out the hotel during the opening and loved everything about it. We were booked into a Concierge Level room on the 7th floor with 2 queen beds. 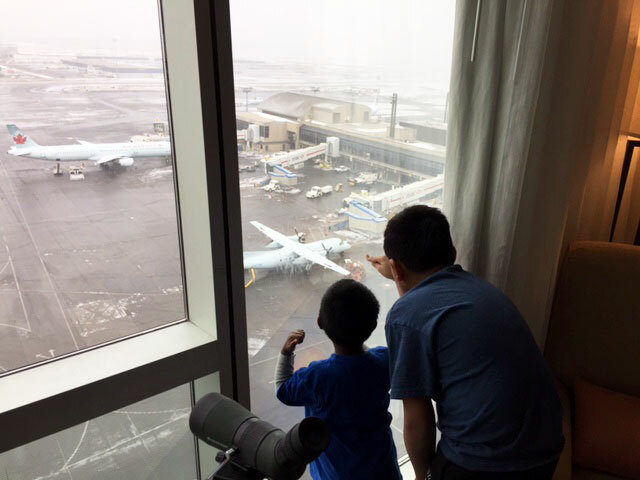 The kids were happy to have a room with a view of the planes and even a telescope to get a closer view. We spent a lot of time looking out the floor to ceiling window and even managed to see the Westjet’s Disney plane. Since the little guy can’t live without milk, we were grateful for the mini fridge in the room. The room also had a TV, and since the kids were happy to watch the planes, we were able to watch whatever we wanted. The bathroom in our room was large with a large walk in shower with glass doors. It was so spacious! Being on the Concierge floor meant we had access to the M Club Lounge. With all the amenities offered, I highly recommend paying extra to access the lounge. The M Club Lounge is open 24 hours a day and has a lot to offer. There are snacks available all-day, like chips, pretzels, cookies and yogurt. Also, for the sweet tooth, a candy bar! 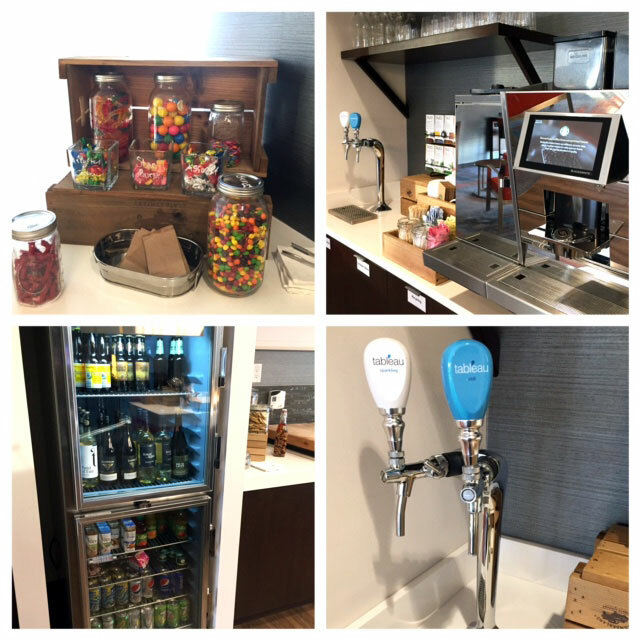 There are drinks available like juice and water, coffee and tea, and my favourite, the hydration station which has both still and sparkling water on tap. 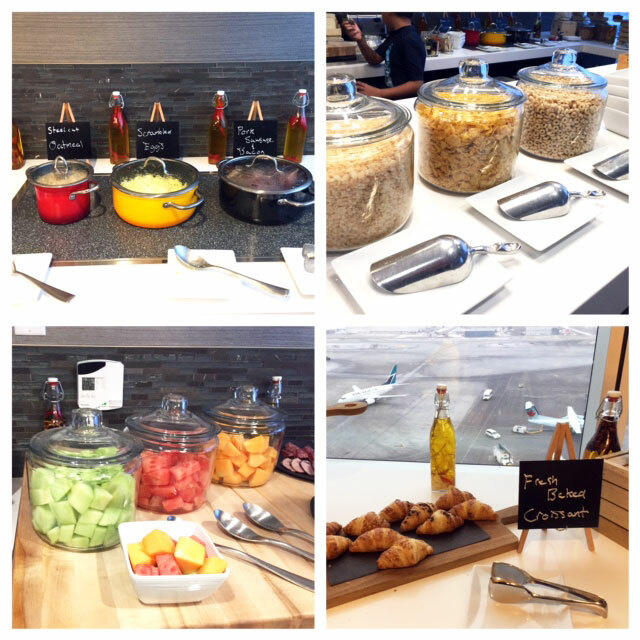 A hot breakfast is available every morning with items like porridge and scrambled eggs. It also included cereal and pastries, my favourite of which was the almond croissant. So good! In the evenings, there were complimentary hors d’oeurves. 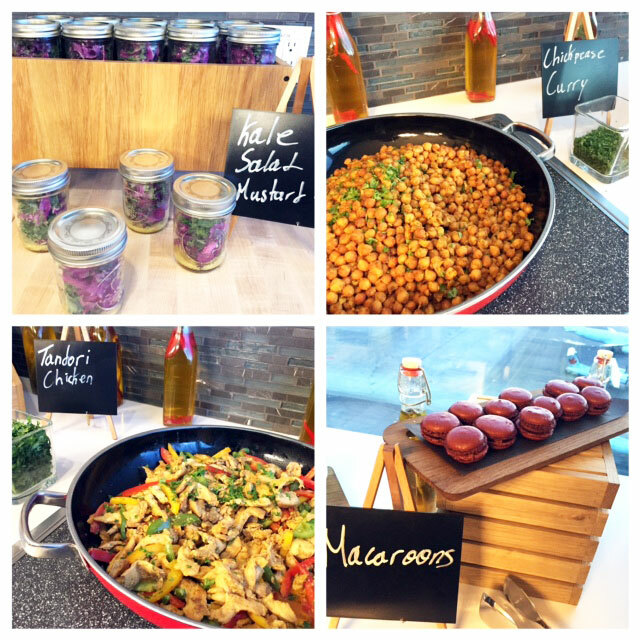 We enjoyed some chickpea curry, tandoori chicken as well as kale salad in a jar. There were also loads of desserts to choose from! 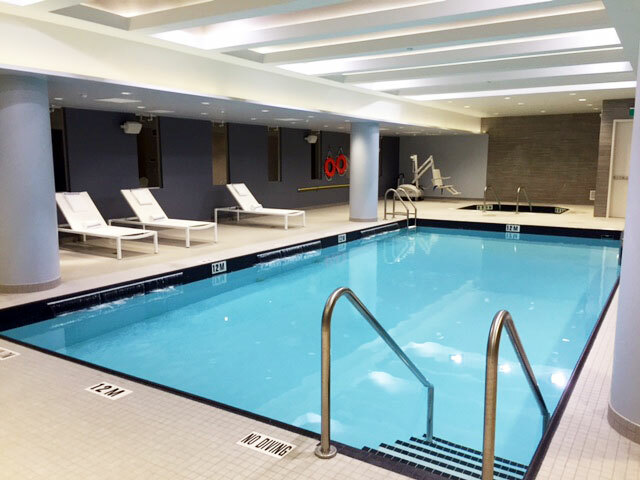 When deciding on a hotel to stay at, we usually pick the one with the pool. The Marriott has a good sized pool which we took advantage of. There were other families in the pool but it didn’t seem crowded at all. They also had a hot tub, to relax those sore muscles when travelling. The hotel also has a fitness centre. Although we didn’t have time to use it, we did go check out the facility. I loved the extra touches like the disposable earbuds and cool towels. The hotel has it’s own restaurant, Yakima Social Kitchen + Bar. It’s another option when eating at the airport and serves food with Aboriginal, Asian and North American influences. We didn’t have to time to eat here this time but the smells coming from the restaurant were amazing. 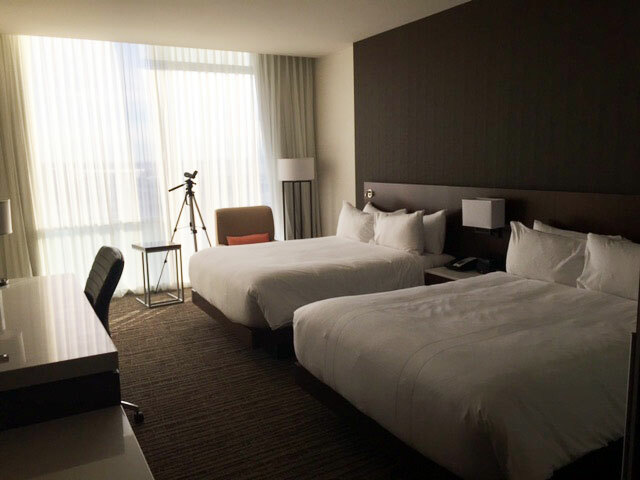 We had a great time at the Marriott In-Terminal Hotel and I’m happy we have such a great option to help those days we have early morning flights. Find out more about the hotel by clicking here. Disclaimer: We were hosted by the Calgary Marriott In-Terminal Hotel. All opinions are my own.